30-Day House Cleaning Challenge: Floors! 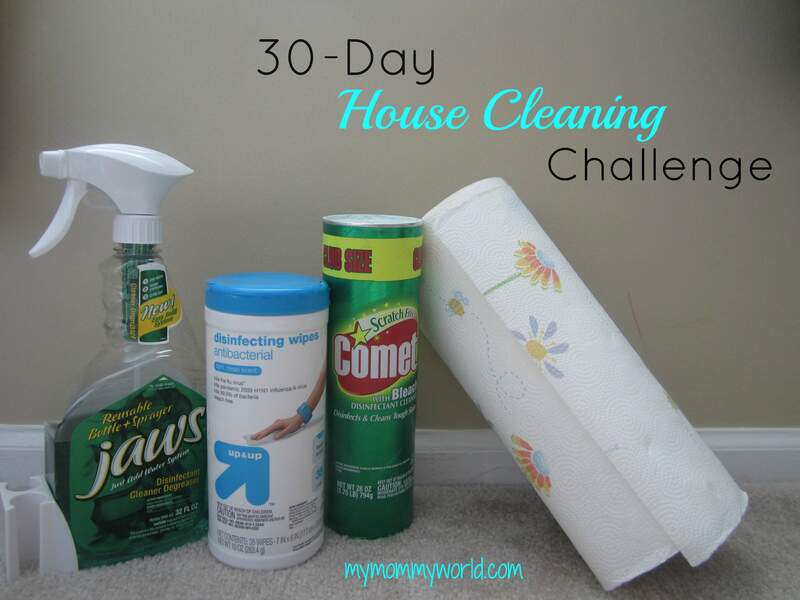 I must have ESP or something, because I did 1/4 of today’s 30-Day House Cleaning Challenge assignment yesterday! Today we had to clean all the floors in our house. Since I worked on cleaning the bedrooms yesterday, I only had to vacuum the main levels and the basement, and mop the kitchen/living room. 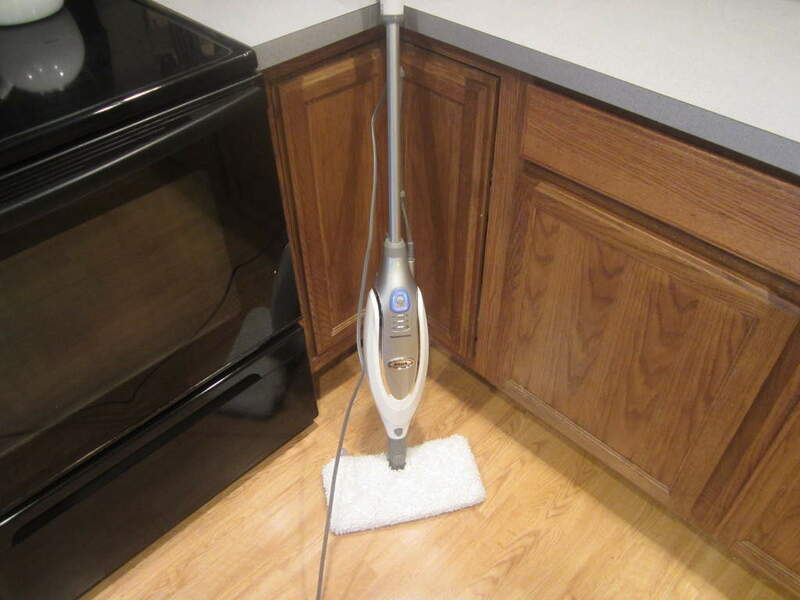 I love my steam mop for cleaning the floors…it does a great job and uses nothing but water! Erin, that was good thinking to wait until after dinner to clean. It never fails at my house that the spill will happen after I clean. Your floor looks very nice. I love my steam cleaner too. I want one of those! 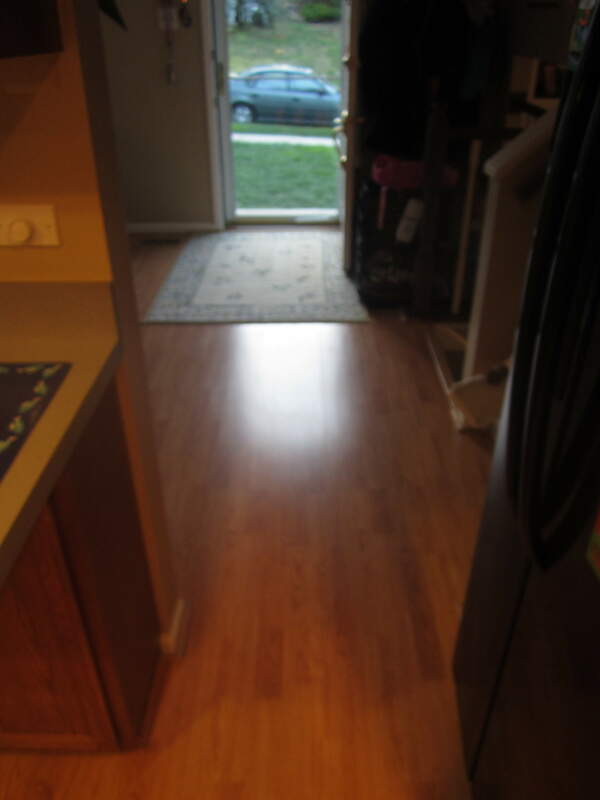 Do you have wood floors or laminate? Your floors look amazing! And using nothing but water makes it even better. Hi Sarah…thanks for stopping by! We have laminate floors on our main level. For some reason, it seems like they get dirtier faster than linoleum floors (or maybe it’s just that I can see the dirt more easily?). I used to buy a special laminate floor cleaner, which was pretty expensive, but now I just use plain water and the steam mop and the floors turn out great. I almost bought a steam mop last year on Black Friday, but was thinking that wood floors are temporary for my family since we are in a rental for at least another year, but I’m definitely wishing now that it’s a muddy spring that I would have gone ahead and made the purchase! Your floors look amazing! Thanks so much Elise! And thanks for visiting…hope to see you back soon!